The world-famous Viking Ship Museum in Oslo displays among many artefacts three famous Viking ships (the Gokstad, the Oseberg and the Tune ship) used as a ship’s grave and final resting place. As these world-famous ships will move to a newly planned museum, an extensive and highly accurate 3D digitization and inventory of these outstanding vessels is currently being planned. 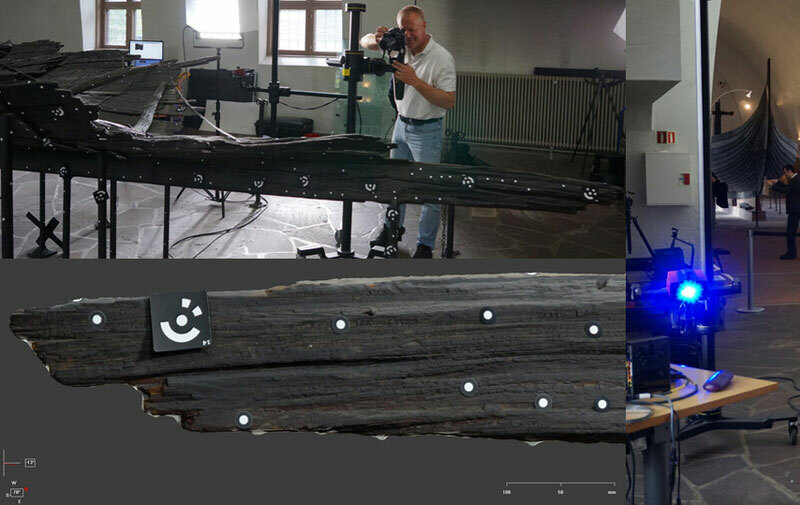 The University of Oslo (3D skanning lab) and the museum are using and testing various 3D technologies for this purpose. As part of a consulting task, the 3D surveying specialist, archaeologist and managing director of ArcTron 3D GmbH Martin Schaich was able to demonstrate the highly accurate possibilities of modern photogrammetric recording technologies on site. 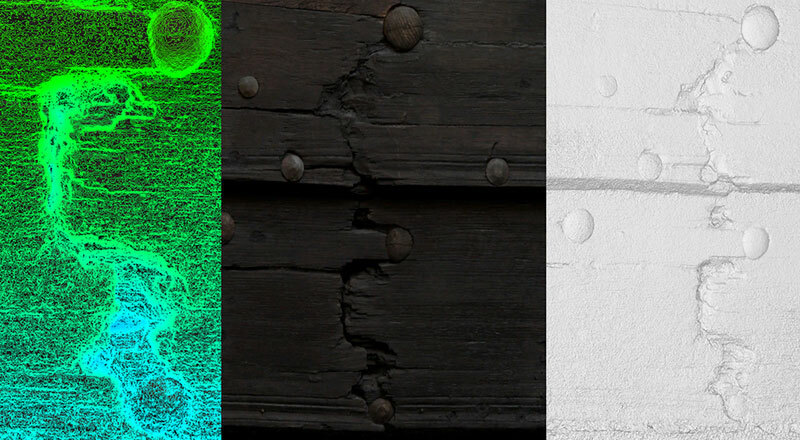 During a one-day demo session, photogrammetric data sets were collected using a high resolution camera and special macro lenses, which were then further processed at ArcTron 3D headquarters. Due to the partly very dark surfaces treated with different reflective preservatives, the project is a big challenge for all of the used 3D digitizing technologies. During the on-site recording, various concepts for increasing the accuracy and quality of the photogrammetric 3D documentation were used, discussed, explained and demonstrated using test examples. In addition to focus stacking (depth of field extension) and HDR (High Dynamic Range), methods for precise color calibration (color and grey charts, ICC profiles), for cross polarization and for determining reflection properties of surfaces using RTI (Reflectance Transformation Imaging) and BRDF (bidirectional reflectance distribution function) were discussed. The data collected by ArcTron 3D included SFM (Structure from Motion) technologies to create the high-resolution and photorealistically textured 3D models. Accurate scaling was achieved using GCPs (Ground Control Points) and finely calibrated marker pads. ArcTron 3D incorporated its own software developments, the aspect3D information system with its SFM functionalities. The end result is comaprison sample data that can measure up to the 3D data collected with much more cost-intensive technology. ArcTron’s data set even exceed it by additional information levels.